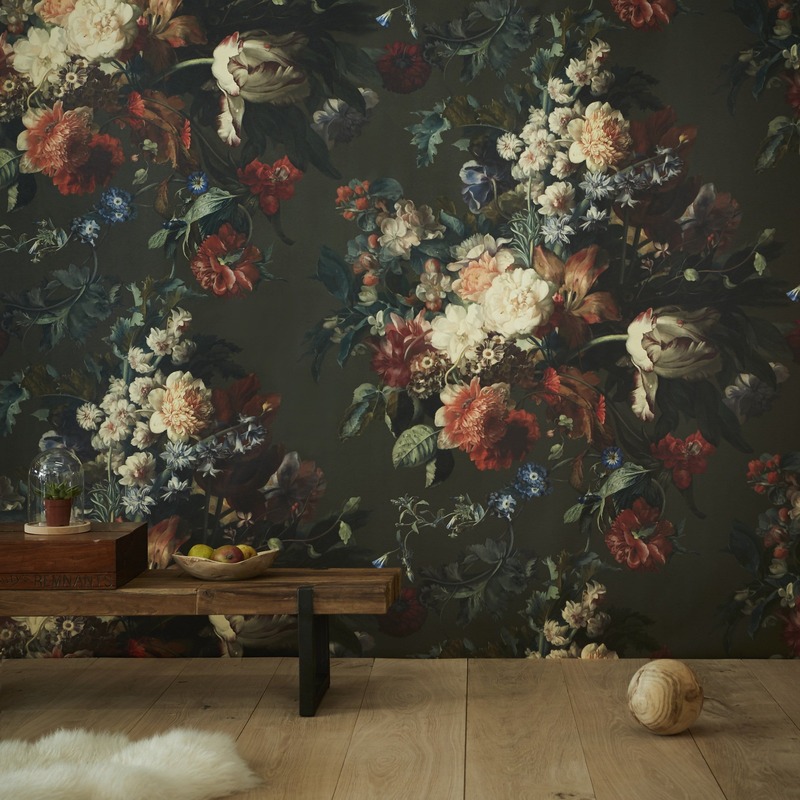 As I created the design for A Golden Age Wallpaper, I was thinking about the the great Dutch floral still-life painters of the 17th Century, and their intense, life-long study of flowers: the thousands of peonies, ranunculi, Mediterranean narcissi, and tulips that they must have sketched! 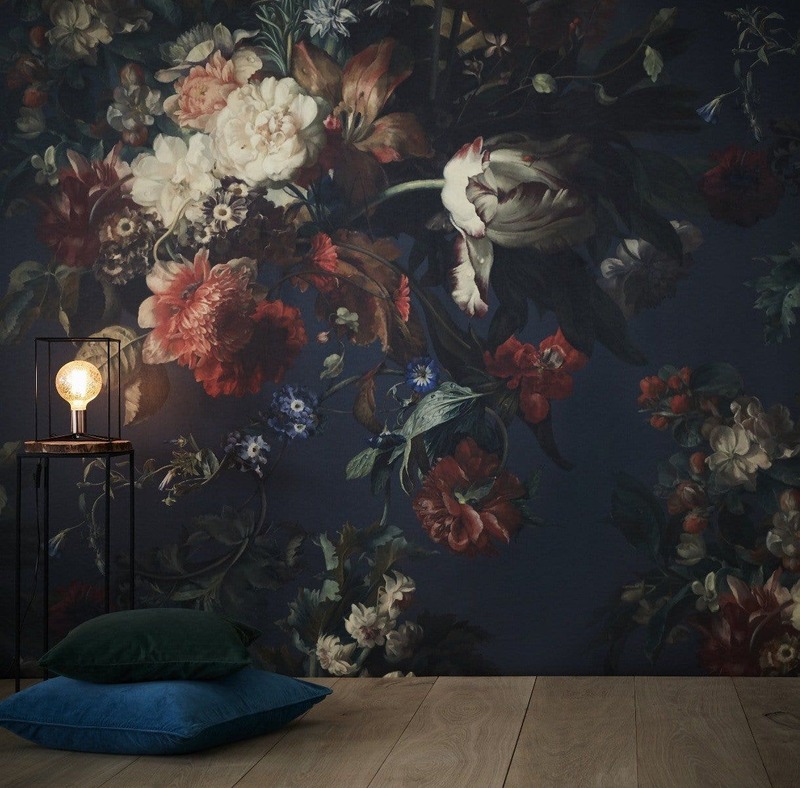 Of course, these flowers would have been especially exotic at that time, as they arrived aboard the trading ships of the East India Company, some returning to the Netherlands from ports as far away as Asia. I was thinking about how they tamed these wild, living things into a composition that was balanced and perfectly in proportion, like a dance, or a piece of music. Flowers from different lands, that would have reached their peak in different seasons, burst - on their canvases at least - quite harmoniously into bloom, sharing, for the first time, a time and place. Ultimately, in my mind, the Old Masters were choreographers, or conductors, of beauty, wonder and splendor. They took what was there and heightened it, each in his own hand, to an enhanced - and celebratory - version of reality. So, while their works depicted a beauty that was based on nature - even on the intense study of nature - the great paradox is that the beauty and the moment that they captured would never have existed in reality. In this way, these still lives are a sleight of hand, a magic trick, allowing us to indulge in - and believe in - a beauty that never was. So in the end, for me, these flowers are symbols of our intense longing, desire, and aspiration towards beauty. Thinking about how I might apply my own hand to this subject matter, it occurred to me that I might want to do this with more softness, applying less clinical precision, and revealing more emotional vulnerability. 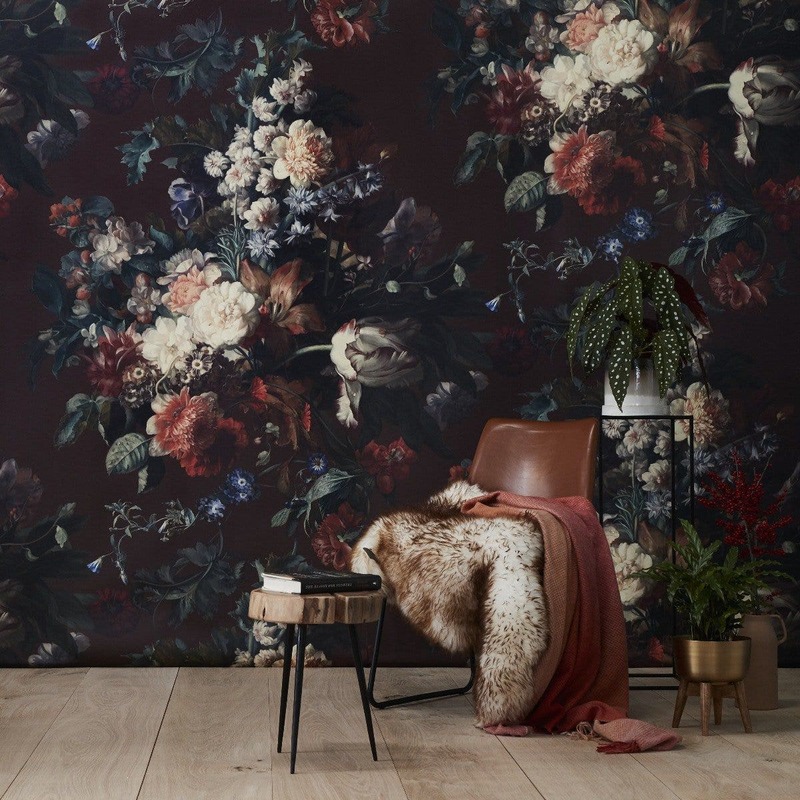 At the same time, by creating wallpaper from this kind of floral composition, I felt bold enough to enlarge its scale and place it into a repeating pattern, so that the power of its symbolism is amplified, and becomes capable of transforming an entire space. 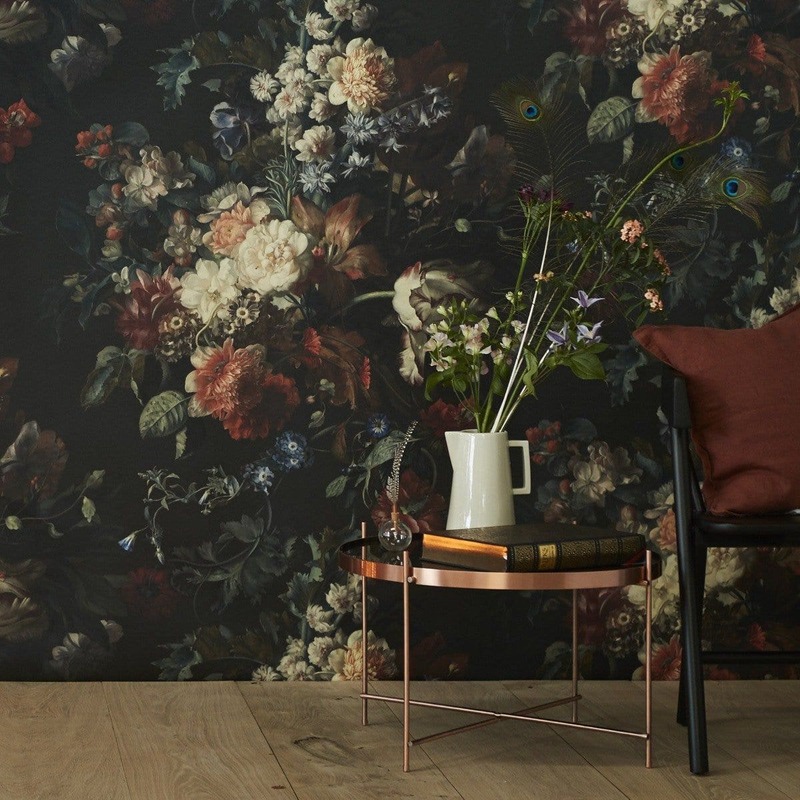 With A Golden Age Wallpaper, a wall, a ceiling or an entire room becomes a dramatic, romantic, larger-than-life celebration of beauty - both the kind that exists already, and the kind we can create ourselves. A Golden Age Wallpaper is available in 4 background colors and 3 scales. All color and scale combinations are possible. The Chestnut Brown, Deep Moss Green and Luminous Blue versions all have the same foreground flowers. These are warmer and more saturated in color than the foreground flowers in the Velvet Black version. In these three colorways, the red is vibrant, while in the Black version, it’s toned down to a deep reddish brown. A little more about the different colors: Initially this design was created with the Chestnut Brown background. This colorway is warm and harmonious and remains one of Ellie’s favorites. We like to pair it with brown leather furniture, warm wood tones and soft textiles like sheep skins. We envision the Luminous Blue colorway paired with gold accents/fixtures, and the Deep Moss Green with lots of different vegetal texture (we are loving house plants of all kinds) and natural materials, especially rustic wood furniture and accessories. We of course couldn’t leave out the Velvet Black as an option, because black is always a good, elegant and sophisticated choice, and an easy color to work with in your interior. The colors here are less saturated, and thus cooler, than the other three options. The red is more subdued. We envision the Velvet Black colorway paired with black and white accessories, with hints of metal and light-colored textiles for softness. Of course, these are just suggestions. The possibilities are limitless, and we love to be surprised by the amazing creativity of our clients! And then a note about the different sizes: The original (100%) version has a more traditional scale for wallpaper. At this size, the repeat is most visible and the painting is sharpest. The XL (150%) version is quite large (see Product Specifications for exact measurements) and begins to function as more of a wall mural. The repeat becomes less apparent while the painting becomes less sharp, with more brush strokes showing. The XXL (200%) version is really huge and absolutely functions as a mural. The repeat is almost invisible and the brush strokes are most visible here. Depending on the space you are decorating, its function, size and the height of the walls - as well as your personal preference - there’s certain to be a good fit for you here. For more explanation and diagrams, please see the Product Specifications. For advice, please don’t hesitate to contact us. Our team is happy to help!